The kitchen on a sailboat is an engineering and planning marvel. Traditionally called a galley, this small space must meet the needs of hungry sailors after a long day on the water. Meals are a big deal when you're cruising. Some days, there's not much else to look forward to. Do you have a favorite dish or galley tip that you'd like to share? 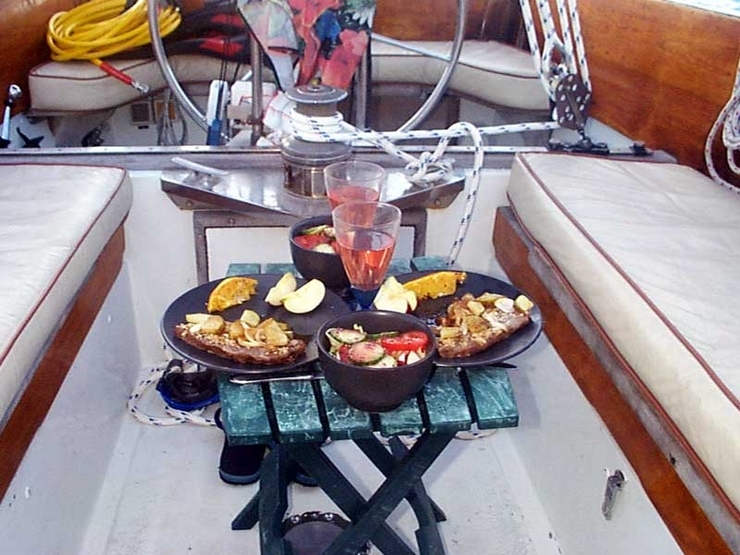 Tell us about your on-the-water galley experiences, triumphs, and favorite recipies.